Westminster is a diverse and dynamic area, attracting residents from all over the world. Its central location and plentiful local amenities makes it an ideal place for professionals to buy or rent. 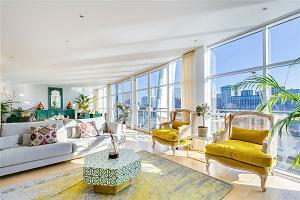 Its proximity to the Thames and various historic landmarks is a bonus for many buyers. 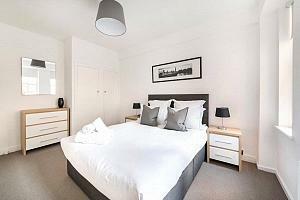 Westminster has some of the more spacious apartments available in London and contains a mixture of regency architecture and modern luxury developments such as the Courthouse. 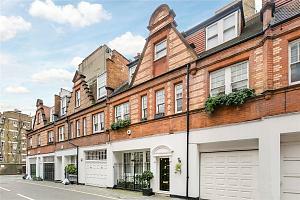 Properties in nearby Pimlico tend to be Victorian houses with amazing ceiling heights. There are plenty of pubs, bars and theatres in the area but what makes the area stand out is the quality of nearby art galleries. The West End and its many venues are also easily accessible from here. Tate Britain, located next to the Thames, houses an engaging collection of British art dating from the 1500s to the modern day. For international contemporary art there’s the nearby Saatchi gallery in Sloane Square. Alternatively, you could take the river boat across to the Tate Modern from the Millbank pier. This area offers so much to its residents and indeed the millions of tourists who visit each year. There are plenty of squares and parks to enjoy, four famous garden squares being Eccelston, Warwick, St George’s and Vincent Square. In addition to these green spaces, the river Thames offers spectacular views and walks, almost directly on residents’ doorsteps. There’s the usual offering of high street chain cafes near Victoria but for independent offerings try Pimlico Fresh on Wilton Road or for bistro style food, try the Phoenix Pub. The area boasts two exceptional markets in Strutton Ground and Tachbook Street. They’re great places for finding street food, with food stalls ranging from French rotisserie to Mexican burritos. Shoppers are also well catered for, Cardinal Place is a new shopping haven for workers in Victoria with shops such as Zara, Tophshop and Hawes & Curtis. Their website also provides useful information for residents of the area looking to make the most of the nearby galleries, restaurants and theatres. Although technically in South Kensington, Sloane Square is within walking distance and offers high end clothing from designers such as Hugo Boss, Emilio Pucci and Anya Hindmarch. There’s also the more high street friendly Peter Jones department store, which is owned by John Lewis. Moreton Street is considered by many residents to be a hidden gem. The street is home to independent specialist boutiques, hair dressers and beauty parlours, all offering something a little different to the average high street stores. Pimlico boasts some of the best prep schools in London, including the highly sought after Eaton Square School. In terms of senior schools there is Westminster School, whose pupils get to play sports on the amazing sport fields that is Vincent Square. Transport in Pimlico and Westminster is excellent and not just forgetting around the rest of London. Both the Victoria mainline station and Victoria coach station are located nearby. From Victoria the Gatwick Express provides quick and convenient access to Gatwick airport, ideal for those with family abroad or those who travel often for work or leisure. Underground stations in the area are served by the Victoria, Northern, District and Circle lines. If there arose a man who loved Pimlico, then Pimlico would arise into ivory towers and golden pinnacles; Pimlico would attire herself as a woman does when she is loved. 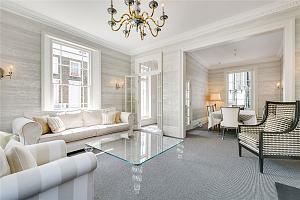 10 Gillingham Street, Westminster, London, SW1V 1HJ. If you would like to speak with one of our property experts, please contact us.